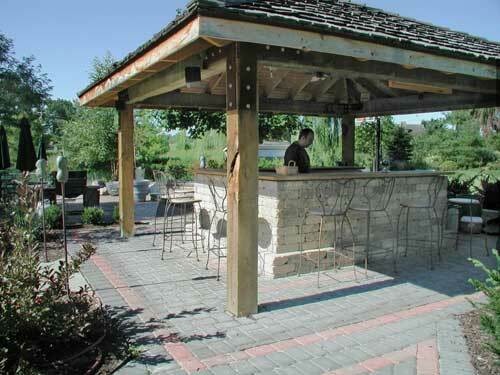 Let us build your dreams, paver cincinnati, patios, paverlock, paverstones walkways, or driveways. We are your choice for paving stone design and installation in Cincinnati. 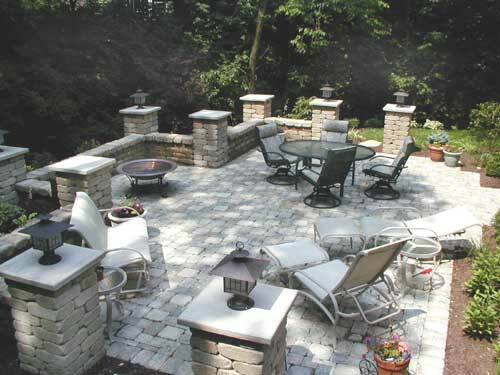 Cincinnati Landscaping is a Certified Paverlock Installation Contractor. There is a right and a wrong way to install paver stones. The right way consists of laying the proper foundation consisting of crushed limestone with drainage under it if necessary. The foundation surface is compacted, either with a roller of a vibratory compactor to ensure the surface is stable. The foundation is topped with leveling sand and the paver stones are then laid on top. Polymeric sand is then applied and the surface is again compacted to complete the process. Paver stones have gotten a bad reputation by some saying the surface will not remain flat over time. This reputation comes from homeowners and contractors alike, that install paver stones without employing the proper installation techniques. With the proper installtion, a paver stone driveway, walkway or patio will last a lifetime. 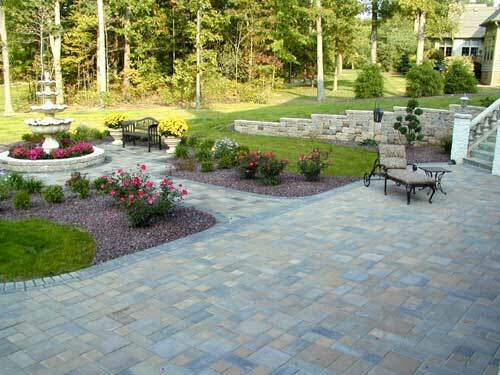 Don't entrust your paver stone installtion to an amature, call us today, we are your paver Cincinnati! We have done thousands of square feet of installation of concrete paving stones. With a wide palette of options, concrete pavers offer greater design flexibility, more strength, longer life, easier installation and more cost-effective maintenance. Our system offers over 100 options in shapes and colors . The color choices include two solid colors and 10 color blends. Design selection includes rectangular shape combinations, as well as rounded Oxford Circle designs, the unique Marquise shape, a formal geometric pattern, and Turflock. Paverlock's leadership in the industry is evident in the number of firsts the product has achieved over the years. Paverlock Pavers were the first to offer three to four pigments in one blend, the first to offer completely modular pavers, and the first to offer spacing ribs and mechanical installation. What does all of this mean to you? Unbeatable value! Any design, style or color, we can design and install for you. We are your paver Cincinnati!